Surgery is traditionally conducted as a collaborative effort including a prime surgeon, an assistant along with scrub and circulation nurses. The introduction of surgical robotics into the operating room (OR) change the dynamics and the type of interaction that was perfected over decades. For the clinically approved surgical robotic systems the surgeon is still in the OR but he or she is physically removed from the patient. Using a surgical consoles the surgeon may teleoperate up to three tools and a camera are. 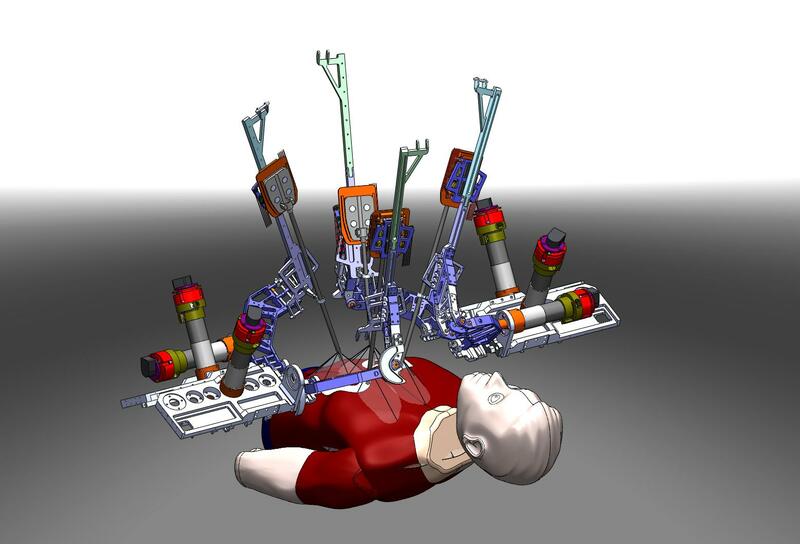 The assistant may use another surgical console or physically interact with the robot by replacing tools or interacting with tissues using manually operated tools. In order to reproduce the originally dynamics of two surgeons interacting with the surgical site using a robotic system, four dexterous arms accounted for the four arms of the two surgeons along with two pairs of eyes are needed. 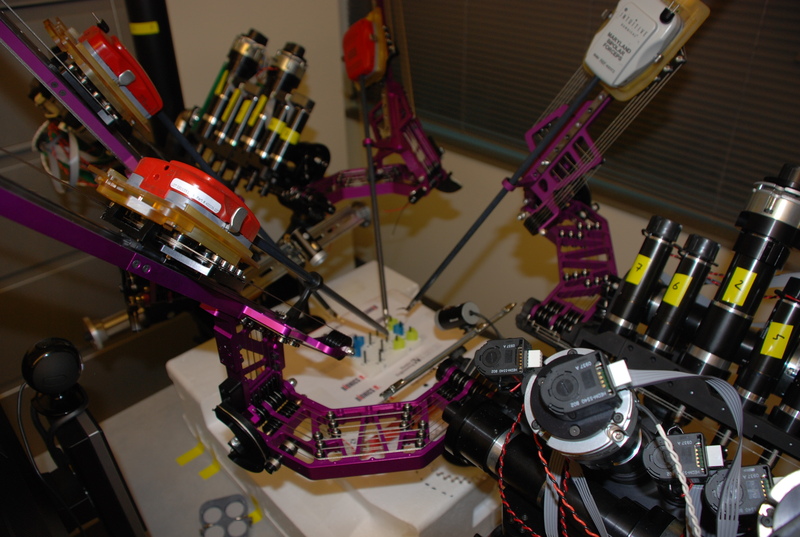 Raven IV is a surgical robotics system that was developed at the University of California – Santa Cruz which includes four robotics arms and 2 cameras. The system facilitates a collaborative effort of two surgeons interacting with the surgical site in teleportation. Each surgical arms is based on a spherical mechanisms with a remote center located at the point of entry of the tool into the human body. 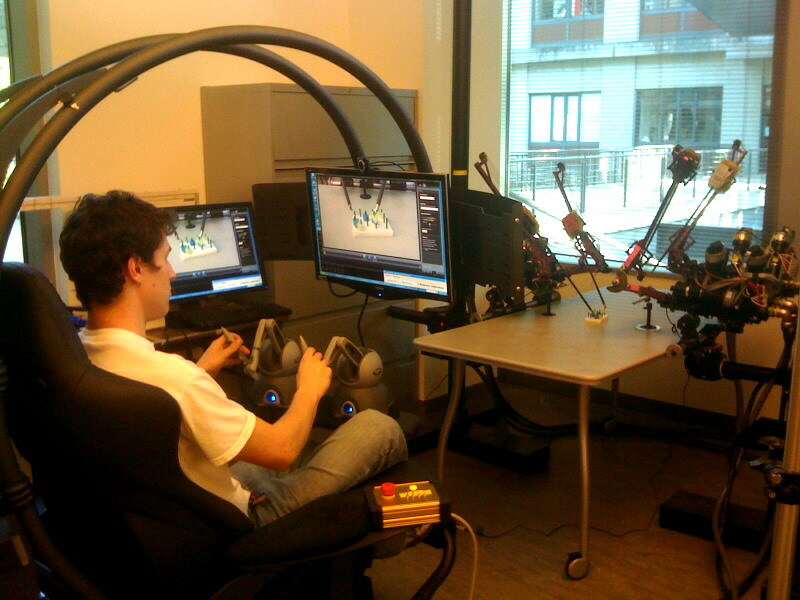 A detailed optimization of the surgical robotics arms was conducted to minimize the footprint of the system in the operational field while maximizing the manipulability of the arms in their shared workspace. 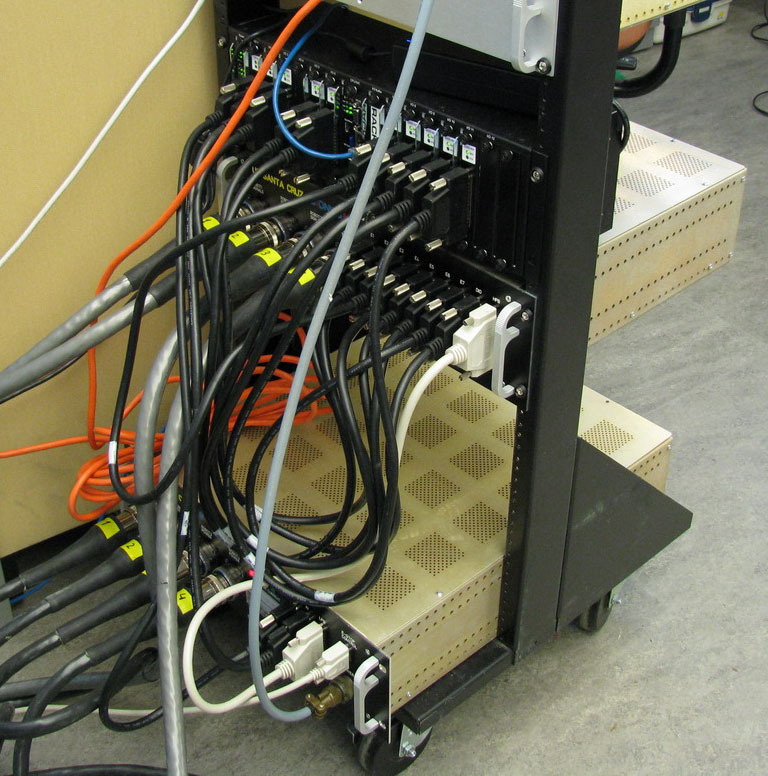 The system architecture allows two surgeons in two remote locations to connect via commercially available internet connection using a UDP protocol using a unique software client interface and teleoperate the surgical robots in a master/slave configuration. Initial teleoperation experiments conducted within the continental US from several remote locations allowed two surgeons, each one controlling a set of two arms, to complete fundamental laparoscopic surgery (FLS) tasks collaboratively while using sampling rate of 1 kHz. Collaborative surgery will continue to be the preferred modus operatndi in surgery and Raven IV demonstrated its capability to support this mode using a surgical robotic system. Dr. Mika Sinanan (UW - Dept. of Surgery) and Dr.Thomas Lendvay (UW & Childrens’ Hospital - Pediatric Urology) collaboratively teleoperating Raven IV located at the Bionicas Lab at UCSC (Santa Cruz, CA) from the UW in Seattle WA.